Ride out to the Mexican desert town and look for clusters of the red and gold chilly symbols in the Chilli Gold slot. The game delivers a top symbol payout of 1000, but there are plenty of clusters with the wild symbols that can occur during the free spins mode. If your sombrero ever catches wind and tumbles down to the deep, cactus-ridden desert, then you've found yourself in Chilli Gold country. This is where you will discover some gold chillis that are sweet on the taste, yet deliver a fire-torch of a breath. 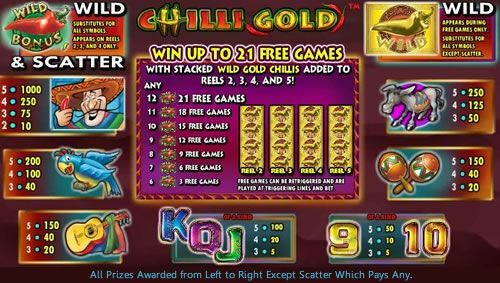 The good news is, there are many decent pay combinations that can occur with the chilli, so the Chilli Gold slot is a game well-worth playing. The slots experts at Lightning Box have made a rather entertaining and fulfilling online slot that abounds with the flavor of Mexico, and that's not just because of the chillies. 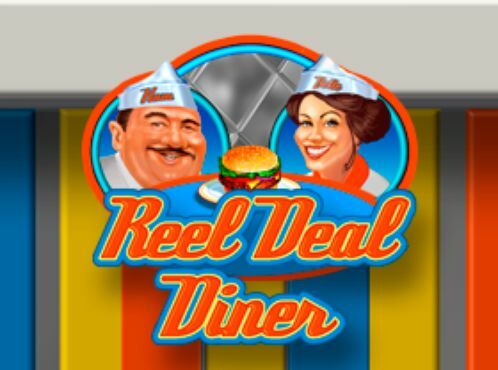 You will find a reel-set of four rows and five reels which spin across 40 always-active paylines. As for the gameplay, the players are going to encounter vibrant Yucatan parrots, the inevitable burro, a pair of shakers for the festivities on the reels and a lot more. So let's settle in this desert town, taste the local chilly and see how the wins fair for the lucky players out there. To set up for the gameplay you just need to select the bet per spin and the rest is chilly. This can so easily be done, it involves just locating the bottom left corner of the slots, where you will notice an amount in coins. The bets start at just one penny but the most expensive bet can get as high as £100 per spin and possibly more. To test the size of the bets simply select the coin size at the bottom left corner and then use one of the number buttons from one to five to elevate the coin size to the stated level. The Spin button is a red chilly and pushing this will sent the reels on a hot spinning frenzy. The Chilly Gold slot also has the Autospin option which allows the players to set the number of automatic spins. The button for the paytable is located nailed on a cactus in the bottom right corner, and this is where you can discover the pays and other useful information, like about the bonuses. For a chilli-themed slot game anyone would have expected that chilly dominates the story, but that is not the case quite. Yes there are two chilly symbols in the game but these don't seem like enough to prepare a huge bowl, but that's why when the Wild chilly symbol clusters in a group, the players get the Chilli Gold free spins games. At any rate, the game's symbols of lower value belong to the high cards, which start with nine and end with the King. These deliver decent winning amounts, but the picture symbols are cause for fiesta whenever a string of five or four of these occurs in a winning combination. These symbols are a mariachi guitar, a pair of maracas, a blue parrot, a donkey and a Mexican far holding a crisp red chilly pepper. 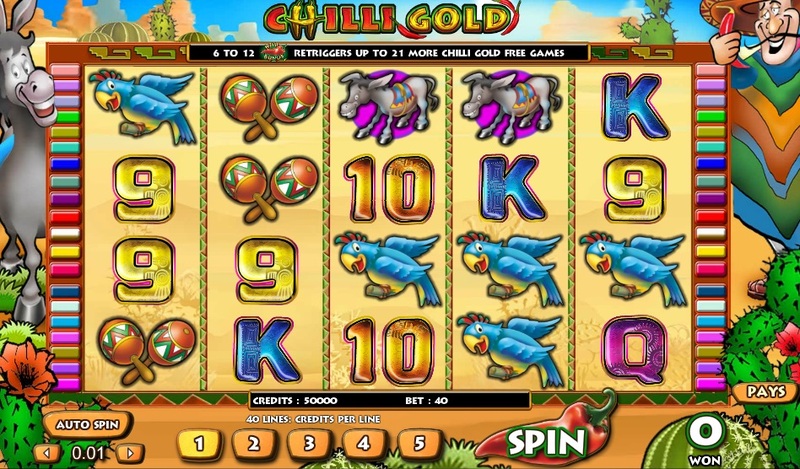 Other than all this, the Chilli Gold slot is a fully animated game that has enjoyed its big run at land-based casinos, before it was made into an online slot. Once part of a win, the symbols spring to action, especially those delicious chillies. 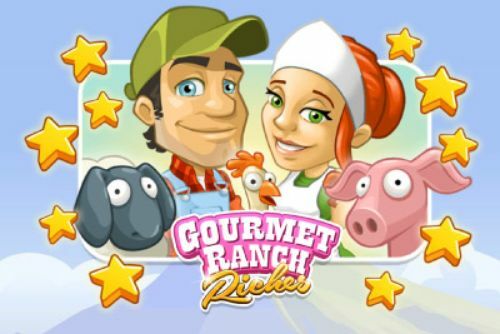 The most lucrative win in the base game comes by way of the sombreroed farmer who is holding that magical chilly. Lining up five of these symbols will result in a prize of 1000, if the Wild symbol is to be seen on the grid. Every other symbol besides that one really pales in comparison in terms of the potential prizes. The donkey pays 250 for a line of five matching symbols, which is just a quarter of the top payout. 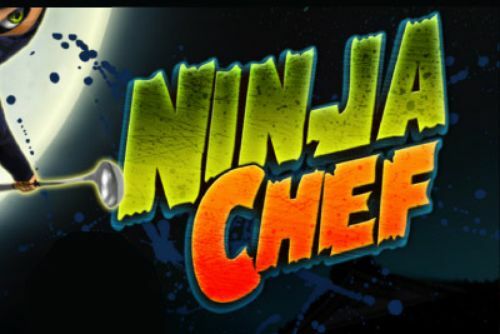 The Wild symbol is the chilli and it gives this slot game its title. This symbol has two version - the standard red hot chilly symbol, and the one in gold. 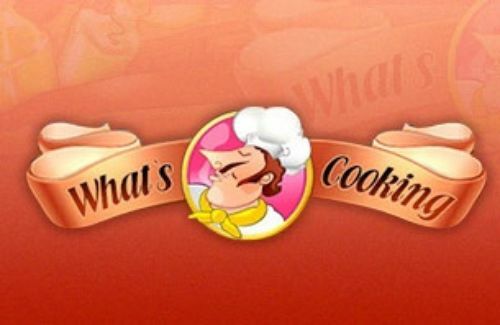 The difference is, the latter is wild and substitutes for all, except the red chilli, appears on reels two, three, four and five - but during the free spins only. 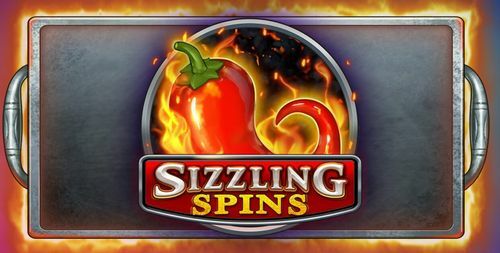 During the free spins feature, the players stand a chance to win up to 21 free games, with the Chilli Gold symbol lining up on the reels. To start your chilly adventure on the Chilli Gold slots you can begin right here, by claiming a welcome bonus at one of the casinos on this page.